In celebration of NOMC's 15th anniversary! 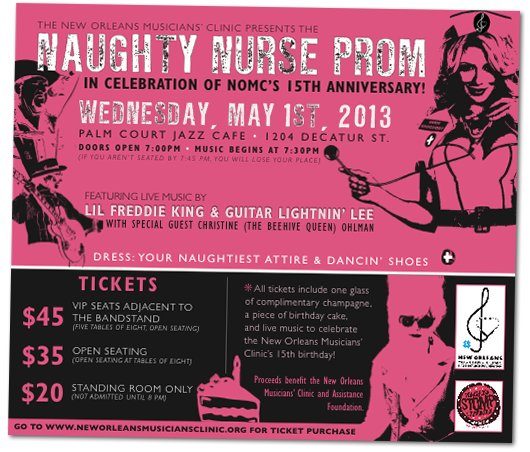 All tickets include one complimentary glass of champagne, a piece of birthday cake, and live music to celebrate the New Orleans Musicians' Clinic's 15th birthday! Not admitted until 8:00 p.m.